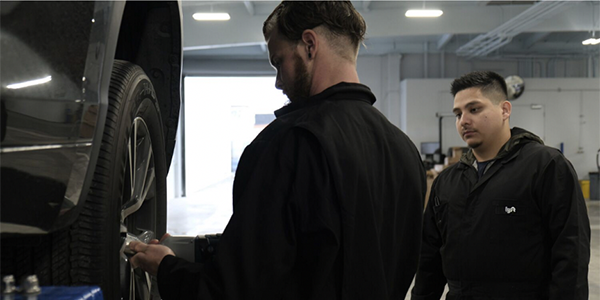 Lyft recently introduced an array of services for their drivers including opening its first repair facility in the San Francisco area. The repair facility is the first of several planned for the company. Lyft is introducing the Driver Centers as a way to help their drivers reduce their repair and maintenance expenses, the company said. The company claims their shops are designed to operate twice as fast and at half the cost for drivers. “We expect to offer services with discounts up to 50% on maintenance, repairs, car washes and more, putting more money back in their pockets,” said Jon McNeill, COO at Lyft. Lyft plans to man its service facilities with certified technicians who are Lyft employees. The faster service speeds can be attributed to an assembly line or NASCAR-style pit stop. In San Francisco, there’s a $70 charge for bundled services of an oil change, tire rotation and car wash. Labor charges on maintenance is $95 an hour. Lyft is also launching a mobile service for its drivers as well. Read more about the new Lyft offerings for its drivers in a blog post by McNeill.